Before resorting to over the counter medication to help resolve common health problems, see if you can try an ancient technique; acupressure. 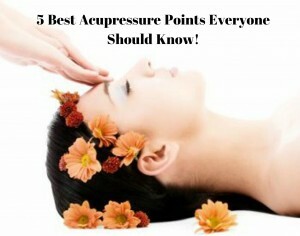 There are 5 acupressure points that everyone can benefit from. No need to know what the acupressure point does or how acupuncture works in general. Just keep it simple and know where the point is and what symptoms it can resolve! How to do acupressure: massage the point with deep, downward pressure for 2-3 minutes until you feel a strong sensation. Sometimes you’ll be able to feel warmth as the point opens up energy along the energy channel (meridian) and on to the rest of the body. When you feel this warmth you’re doing it right! 1. 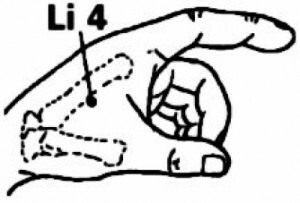 LI 4 (Large intestine 4): Common pain point. 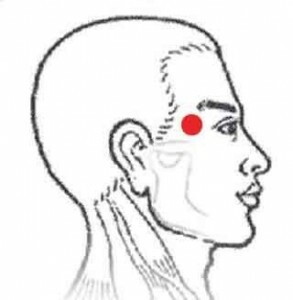 This point has a direct connection with the head and the face therefore helping with headaches, sinus problems, and toothaches. This point is really powerful and should not be used during pregnancy as it can stimulate contractions. If you’re not pregnant but in pain use this point and see if you can calm the flare up before masking it with pain medications. 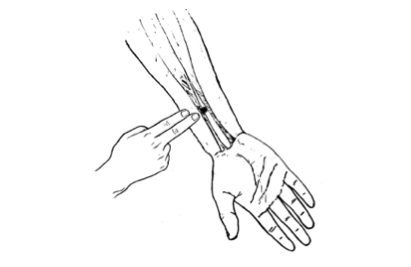 Side bar: There’s another depression on the inside of the hand called the snuffbox want to know why it’s called this? 2. 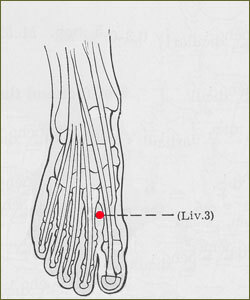 PC 6 (Pericardium 6): Common calming point. This point is particularly good to help calm an anxious person. 3. Taiyang: Common headache and stress relief point. Eye issues – blurred vision, red, swollen, painful eyes. Menstrual issues- dysmennorrhea, amenorrhea, PMS, breast tenderness. Genital issues – pain/swelling, hernia, impotence, seminal emission. Calming point – anger, irritability, insomnia, anxiety. Face, throat and sense organ help (eyes, ears, nose, tongue). 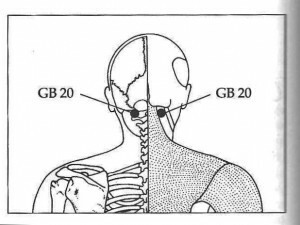 Issues of the neck, shoulders and/or upper back – pain, weakness, stiffness. Try these points combined to make a “treatment protocol” the next time you’re feeling run down, stressed out or in pain! The more you use pain medication the less your body works to heal itself. Give your body just a little nudge in the right direction and it will respond by healing itself! This entry was posted in Uncategorized on January 31, 2016 by riannaposkin. How an athlete can develop more power! How to turn challenges into experiences!